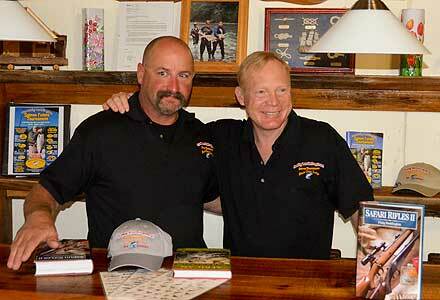 Jim and Craig, ready to start the daily Craig Boddington book awards. The sportsman who brings in the largest fish each day wins a book of his or her choice, signed by the author. Thanks to Craig and Donna for donating these books. Alan chose a copy of The African Experience. 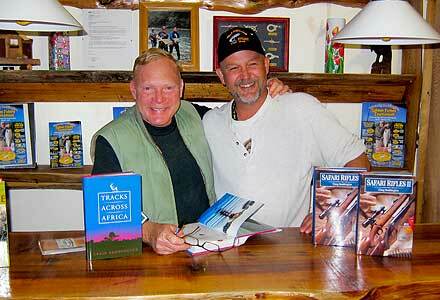 Alan went on to win a 5-day African safari in Namibia with outfitter Eland Pro, so this book is sure to come in handy. 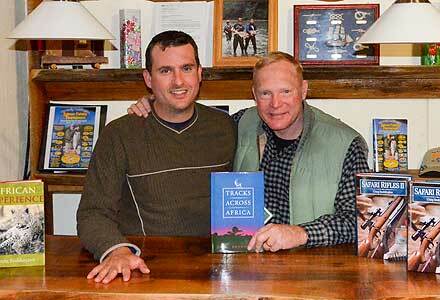 Ed selected a copy of Tracks Across Africa. 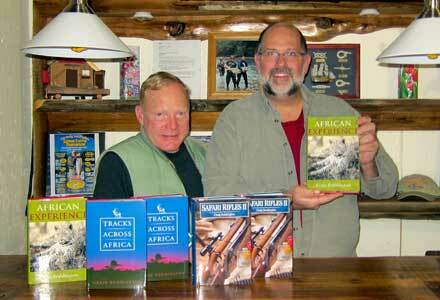 Shane also selected a copy of Tracks Across Africa. Shane went on to win the tournament and select a Cape Buffalo hunt with the author, so he will soon have his own exciting stories of Africa to tell. 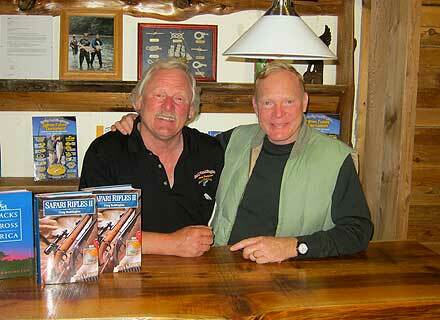 Jimmy and Brandon (below) each received a signed copy of Safari Rifles II. Given that Braden was on leave from his Marine unit, we would like to take this opportunity to honor him and all of our young men and women in the armed services for keeping our countries (on both sides of the border) safer places to live.